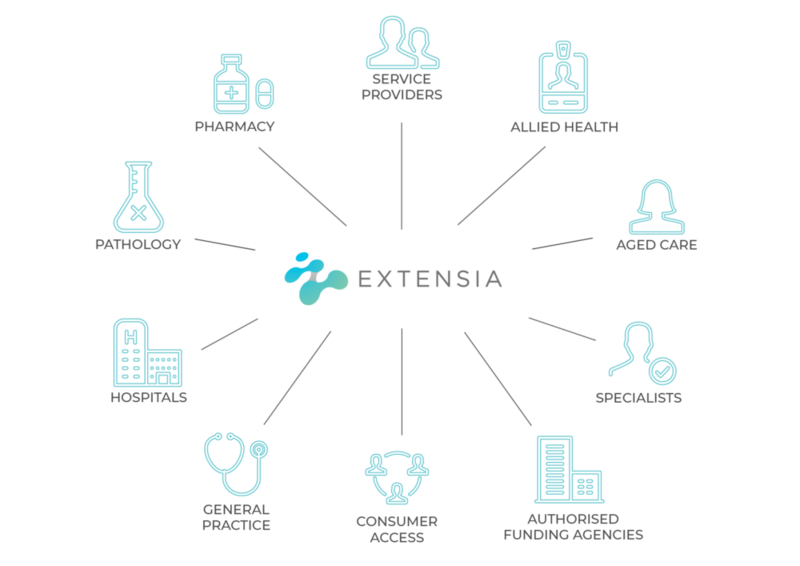 Extensia links healthcare providers, consumers and their communities to enable them to achieve more efficient and better healthcare. Extensia links healthcare providers, consumers and their communities to enable them to achieve more efficient and better health care. This is through a privacy compliant platform which enables sharing of the right data, with the right parties at the right time. The Extensia suite of products is supported by highly experienced and senior software architects and develops with extensive experience in the development of medical software. Our clients include governments, aged care sector, disabilities groups, research institutions, communities and indigenous health organisations. Our core technology is RecordPoint - it has been implemented in many setting across Australia.